Where do I find the C.A.T4 software version? To identify what software version your C.A.T4 is running, squeeze the trigger and press the depth button whilst the C.A.T4 is powering up (the display is showing all the icons). Release the depth button when the letter ‘C’ appears on the left of the display. 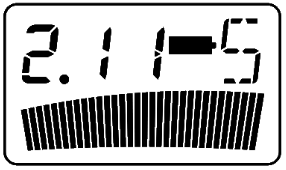 The display automatically step through the following information: configuration number ‘C’, software version ‘S’ and calibration expiry date as day ‘D’, month ‘M’, year ‘Y’. To use C.A.T Manager for PC you will need a Windows PC with XP or higher operating system. For further information please refer to the C.A.T Manager for PC operational guide. Mobile App background running issues with Android 6 onward.